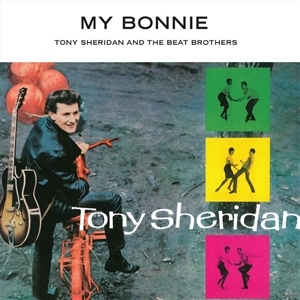 Tony Sheridan had been recommended to producer Bert Kaempfert as having considerable potential, along witha band he had regularly performed with in the clubs of Hamburg. After watching the pairing play himself, Kaempfertarranged for a contract for both, with the group providing musical backing on a couple of numbers on theresulting Tony Sheridan album.The group also recorded a couple of their own numbers during the course of the session, but for whatever reason,Kaempfert believed Sheridan was the more likely to achieve an impact. Thus The Beatles would have to waita little while longer before making their breakthrough! This album, therefore, represents the first recorded appearanceof The Beatles, on the minor hit single My Bonnie and The Saints, thus ensuring lasting interest in thealbum. Tony Sheridan was an artist with almost 6 decades of musical activity, however fate in the same breath acknowledged him more so through his association with more prominent musicians. This was sadly still the case at the time of his death on February 16th, 2013, in Hamburg, Germany.When Tony Sheridan faded from the spotlight, theatres and television, he did not fully disappear like countless stars who had experienced their "15 minutes of fame" through involvement with music. Tony Sheridan still toured, he was constantly on the road, he travelled from near, Hamburg to Munich, and he travelled far, Australia to Vietnam. His fame over the years has been based upon the legacy of the 'Beat Brothers' band show and the song 'My Bonnie'. However Sheridans interest was more deeply tuned towards blues and folk music. It goes without saying that he did not want only to perform his repertoire from the sixties some decades later, he wanted to push his musical boundaries.The change in style musically found on these discs has an emphasis solely on 'Tony Sheridan and his Guitar'. The recordings are taken from his solo unplugged show in 1981 when he appeared in the renowned Galerie, Flensburg a popular Germany music pub, this was years before performing ' unplugged became the fashion. 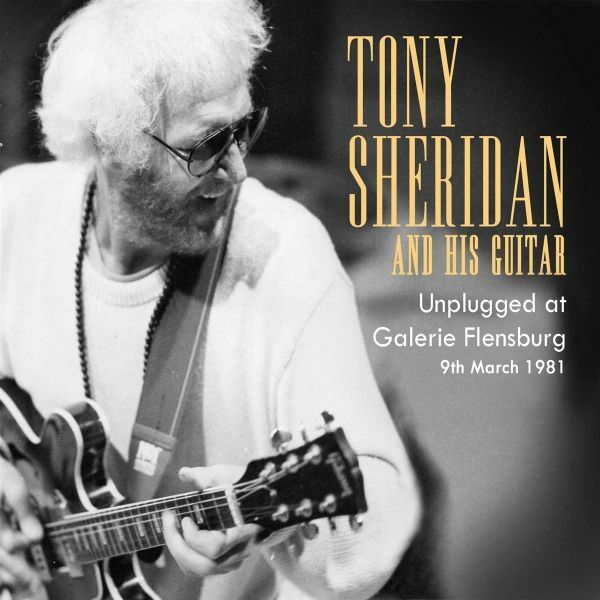 This double CD allows you to hear different and enthralling sides of this evening, and gain an insight into the musical world of Tony Sheridan.